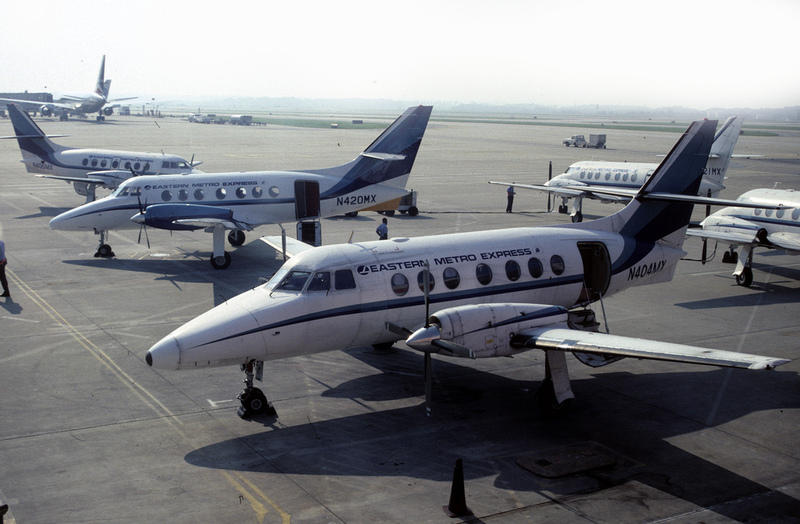 Eastern Metro Express was a subsidiary of Houston-based Metro Airlines created specifically to feed Eastern Airlines' hub at Atlanta. 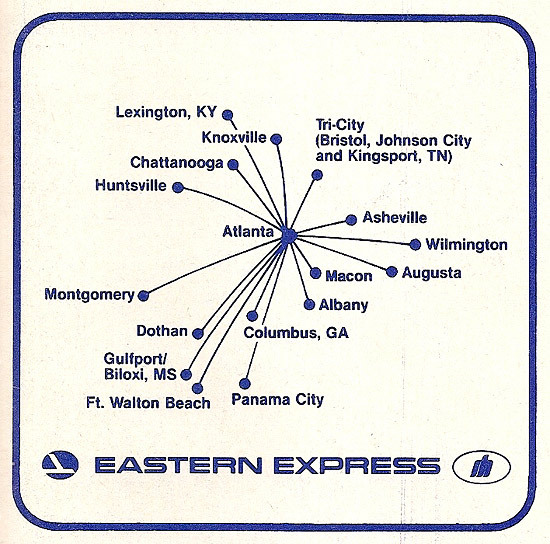 Flights began in April 1984, and by 1987 the airline was serving over 20 cities throughout the southeast. The carrier ceased operations when Eastern Airlines shut down in January 1991. Below: Five Eastern Metro Express Jetstream 31s, including N404MX and N420MX, are seen on the ramp at Atlanta Hartsfield Airport on the morning of July 28, 1989. This great shot is courtesy of flickr photographer emdjt42. Eastern Metro Express route map from March 2, 1987. 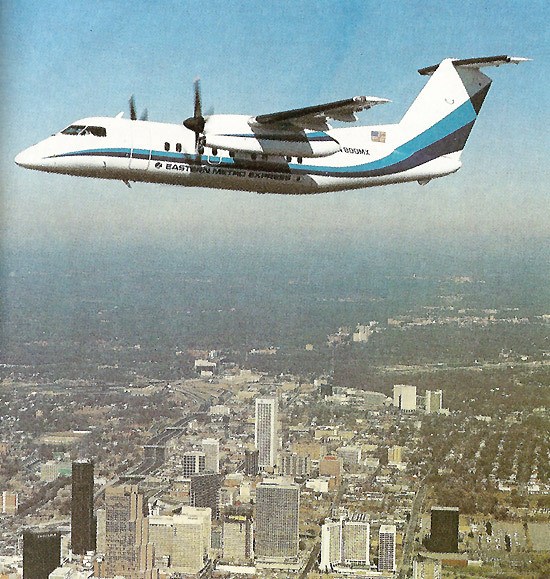 Eastern Metro Express De Havilland Canada Dash 8 N800MX above downtown Atlanta in 1986. For additional timetable images and information, visit the Metro Airlines page Timetable Images.